Manan Shingari (VII-F) of St. Mark’s Sr. Sec. Public School, Meera Bagh represented Delhi in the Badminton Tournament of 60th National School Games held at Jammu from 21 November to 26 November, 2014. The event was organised by the Directorate of Education. Sanya Shingari (X F) of St. Mark’s Sr. Sec. Public School, Meera Bagh represented Delhi in the Badminton Tournament of 60th National School Games held at Ranchi (Jharkhand) from 15 November to 18 November 2014. 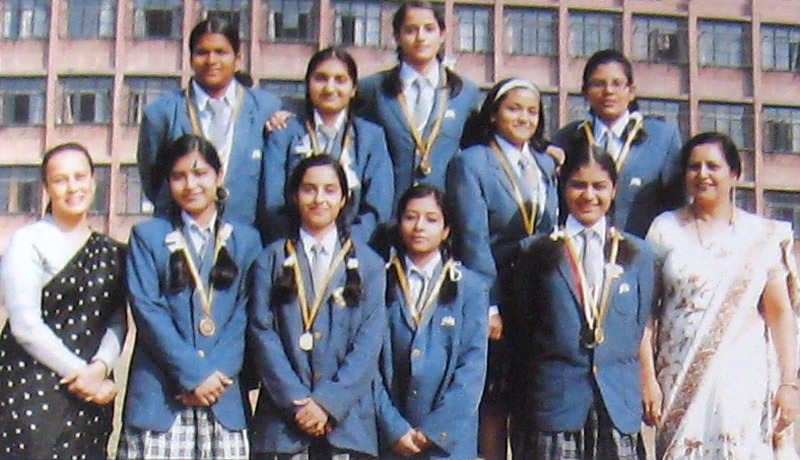 The event was organised by the Central Board of Secondary Education. Sanya Shingari, student of Class IX-F of St. Mark’s Sr. Sec. Public School, Meera Bagh, went to MD University, Rohtak for a 4 day Badminton Tournament from 26 April 2013 to 29 April 2013. She won Girls’ Doubles U-15 Championship, and reached the semi finals in women’s single. It was definitely a cherishable moment ! 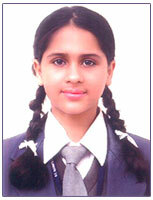 Manan Shingari, student of Class VII-F of St. Mark’s Sr. Sec. Public School, Meera Bagh, also went to MD University, Rohtak for a 4 day Badminton Tournament from 26 to 29 April 2013. He bagged the second position in Boys Single U-13. Sanya Shingari, student of Class VIII-B of St. Mark’s Sr. Sec. Public School, Meera Bagh, brought laurels to the school as she represented the Delhi State in the National Level Badminton Championship. She participated in the tournament that was held from 2 to 11 December 2012 at West Godavari in Andhra Pradesh. It was a proud moment as she reached the Quarter finals and won the second position in the individual matches. We hope she continues with her winning streak in future. Two students of St. Mark’s Sr. Sec. Public School, Meera Bagh, namely Yash Kumar (Under 19) and Sanya (Under 13) made the school proud by bagging the runners up position in their respective categories at the Badminton Delhi State concluded recently at SBS Memorial School, Mansarover Garden. The tournament was held from 22 June 2011 to 26 June 2011. The students played like champions. Yash was the semi – finalist but unfortunately had to pull out due to injury.